Examining the relationship between the release of the PlayStation 2 in 2000 and the subsequent spike in violence in the Democratic Republic of Congo demonstrates both the way that global capitalism perpetuates violent exploitation, as well as the continued relevance of Marx’s theory of commodity fetishism. I think it’s often lost on people in the First World just how violence is endemic to global capitalism, and how much the living standards of us in the First World exploits and sustains the horrific conditions of the Third World. To be fair, there seems to be a decent amount of awareness about the rather bad conditions of sweatshop workers in places like China and Bangladesh, who produce a massive proportion of key commodities like electronics and clothing. Events like the suicides at Foxconn and the devastating factory collapse in Bangladesh caused a decent amount of uproar among the populations of the developed nations (not that they accomplished much). But what the type of violence that I have in mind is a few steps prior in the supply chain to the manufacturing stage; specifically, the nature of coltan mining in the Democratic Republic of Congo and its relationship to the consumer electronics. Coltan is a key metal used in the manufacturing of a variety of electronic devices, and since the advent of the Information Age, demand for coltan has skyrocketed. But one demand shock that is of particular note is the one that took place in 2000, the year that the PlayStation 2 was released. …I find that armed groups respond to an increase in the price of coltan by conquering coltan villages, where they establish a monopoly of violence and collect taxes. To establish a causal relationship I exploit a drastic demand shock for coltan. In the year 2000, innovations in the video-games industry led the demand for columbite-tantalum (coltan) to skyrocket. The US price of coltan rose abruptly from 90 US$ per kilogram to 590 US$ per kilogram at the start of the year, and collapsed at the end of the year (Sanchez de la Sierra 2013: 3). Specifically, the study finds that the proportion of coltan mines that were attacked increased from 13% in 1999 to 40% in 2000. After accounting for other factors and variables, it was concluded that the coltan price shock of 2000 caused by the release of the PlayStation 2 resulted in a 20% increase in attacks on coltan mines (Sanchez de la Sierra 2013: 22-23). 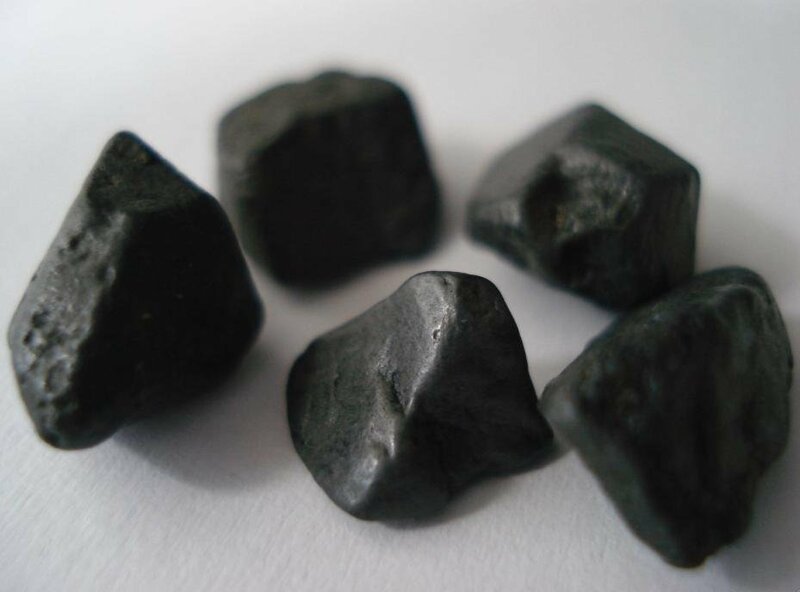 In 1999 and 2000 a sharp increase in the world prices of tantalum occurred, leading to a large increase in coltan production in eastern Democratic Republic of the Congo. Part of that new production involved rebel groups and unscrupulous business people forcing farmers and their families to leave their agricultural land, or chasing people off land where coltan was found and forcing them to work in artisanal mines. As a result, the widespread destruction of agriculture and devastating social effects occurred, which in a number of instances were akin to slavery (UNSC 2003: 5). This phenomena–where a simple price increase in a globally traded commodity leads to devastation in the lives of thousands–proves the intimate links between the living rooms of First World families and the brutal violence in the jungles of central Africa. Far from being a dark, uncivilized region of the world, the Congo is in fact entirely subsumed within the global capitalist economy–to its detriment. And the even more insidious dimension of the Congo’s relationship with global capitalism is that this is not, by any means, a recent development. The violent exploitation of the Congolese people caused by the coltan price shock is disturbingly similar to the genocidal levels of violence that defined the Congo Free State of 1885-1908, during which roughly 10 million Congolese were brutally killed during a protracted process of extracting valuable commodities like ivory and rubber from the Congo and into the coffers of Belgium. In both cases, the incredible amount of suffering and violence sustained against the people of the Congo was a direct result of violence being profitable; the only difference is that in today’s world, the exploitation is essentially contracted to the lower ends of the supply chain, so that Western consumers, firms, and governments can maintain their peace of mind. This leads in to the normative dimensions of economic transactions. Rightfully speaking, there should be a way for the history of a commodity (the way it is produced, who produced it, what conditions it was produced in, etc.) to be readily available for the end-user. But of course, this is not the way commodities function, and the nature of modern economic exchange makes this exceedingly difficult. When we walk into a store and purchase a particular item, that item is inherently stripped of its history–we know nothing about it, except for how it is marketed, what it is used for, and what its price is. As far as most consumers are concerned, the commodity appeared out of thin air; the workers and the nature of the supply chain (which nowadays tends to stretch across the globe) is out of sight and out of mind. This effect is caused by the fact that, in a capitalist society, the real producers of commodities remain largely invisible. We only approach their products “through the relations which the act of exchange establishes between the products”. We access the products of the proletariat through the exchange of money with those institutions that glean profit from the labor of the proletariat. Since we only ever relate to those products through the exchange of money, we forget the “secret hidden under the apparent movements in the relative values of commodities”; that is labor: “It is… precisely this finished form of the world of commodities—the money form—which conceals the social character of private labor and the social relations between the individual workers, by making those relations appear as relations between material objects, instead of revealing them plainly” (Dino 2011: 1). In other words, when I purchase a PlayStation 2, I only relate to it via the money I spend on it; the history of the particular unit that I bought (how it was manufactured in China, the slaves who may have mined the metals that it was built with, the truckers who transported it from the port to the store) is completely invisible; and the fact that the PlayStation 2 is in fact the result of a concrete social relationship between me, an American trucker, a Chinese factory worker, an enslaved Congolese child laborer, etc. is obfuscated. And because of the fact that the concrete connections between people are collapsed into the form of commodities, the violence of capitalism can easily sustain itself. Economic transactions–even when they essentially constitute a payment to violent warlords or slavers–are seen as morally neutral. And this perception of moral neutrality is sustained, from the consumer all the way down to the supply chain–and the moral dimensions of each exchange is covered up using generic rhetoric about plausible deniability, the “just doing my job” excuse, and so on. And this is precisely how horrific levels of violence and suffering can be sustained on the systemic level, without conscious effort or intention. This entry was posted in Culture and Philosophy, Political Economy and tagged capitalism, colonialism, coltan, commodities, congo, economics, electronics, ethics, marxism, morality, philosophy, political economy, violence. Bookmark the permalink. Interesting post. In regards to your first point about the ideological and social relationship between the First World to workers of the Third World (Global North/Global South), I just saw this talk from a Berkley professor, Ananya Roy, you might want to check out. She argues that conscious consumerism, as a form of micro-philanthropy, constructs how people in the Global North come to know “poverty” in the Global South not as a product of hyperexploitation.